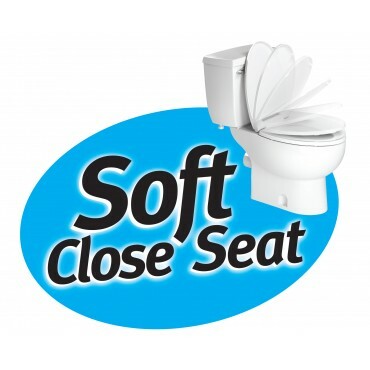 Saniflo’s vitreous china toilets are designed to be durable with a high gloss finish for an easy-to-clean surface. 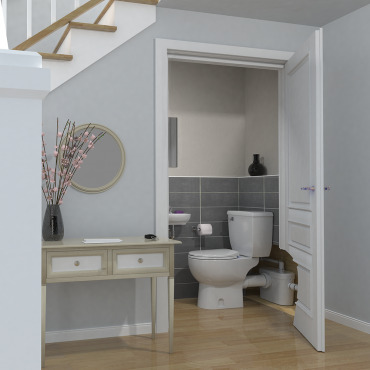 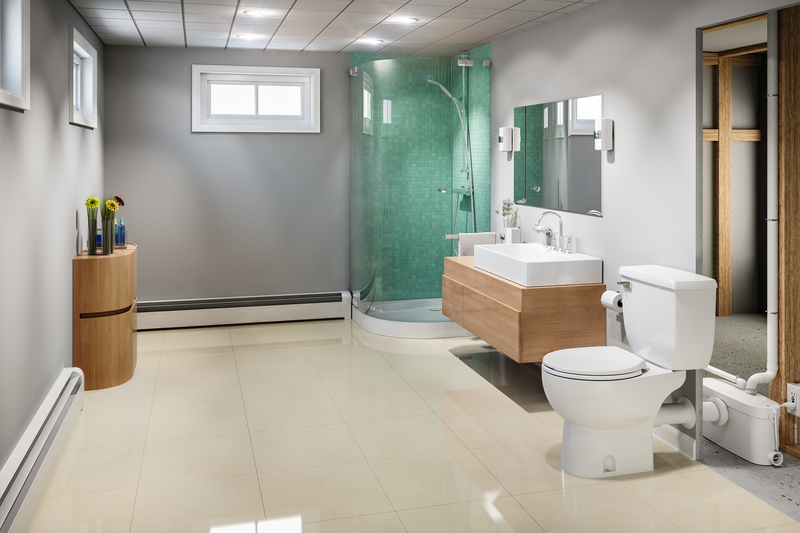 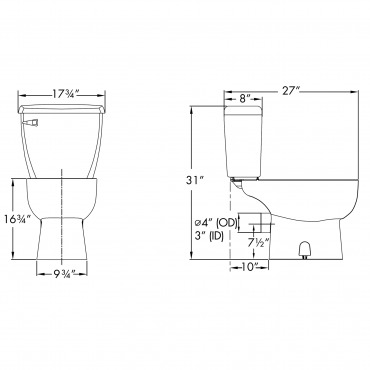 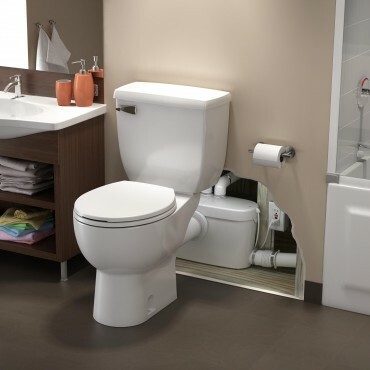 These floor mounted, rear discharge toilets have the desired height to meet comfort and aesthetics to provide a unique style. 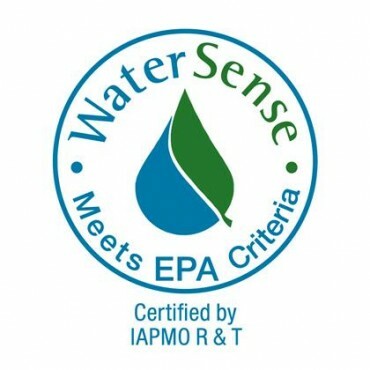 Saniflo’s high efficiency toilets use 1.28 gallons per flush, and are recognized by the EPA’s water-saving WaterSense program. Complete toilet system comes with everything needed for installation including a stylish soft-close toilet seat. 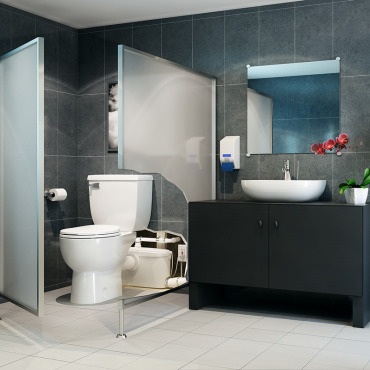 SFA Saniflo introduced this accessory in order to ease the installation as this new addition made it simpler to hide the pump behind any finished wall. 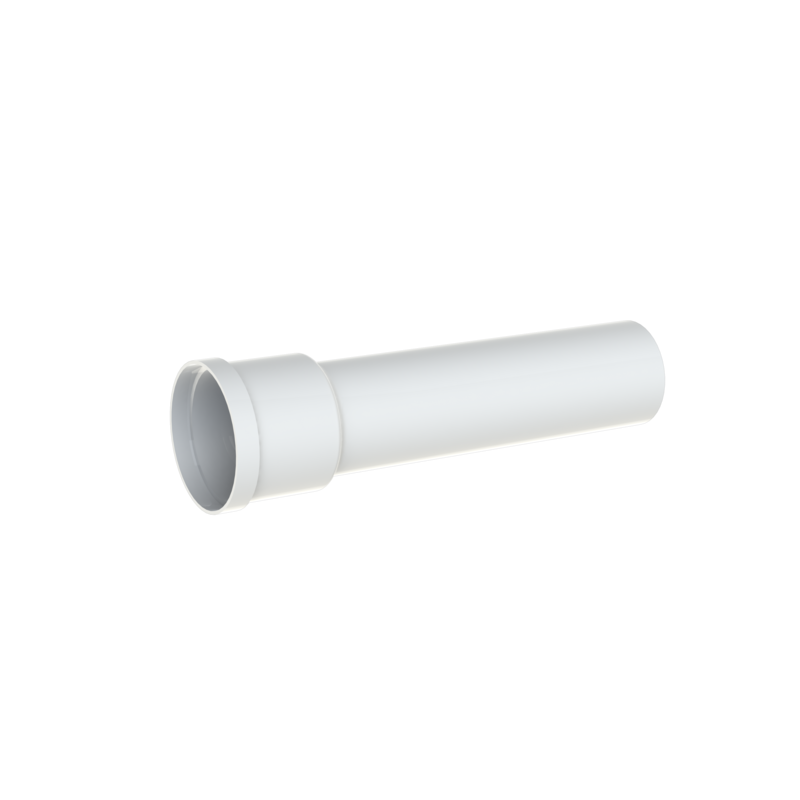 This Extension Pipe is used with the Saniaccess 2, Saniaccess 3, Saniplus and Sanibest Pro external macerators. The 18” extension pipe was designed with the idea to reduce time when installing our macerators. 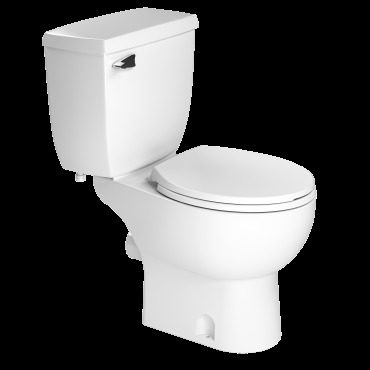 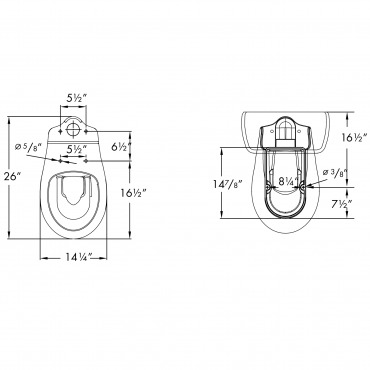 It has an inner gasket which connects to the rear spigot of the toilet without any difficulty. 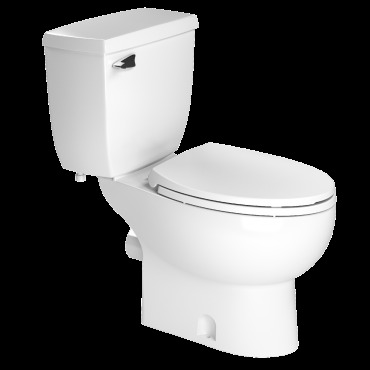 Its sealed connection keeps water from seeping out once the toilet is flushed. 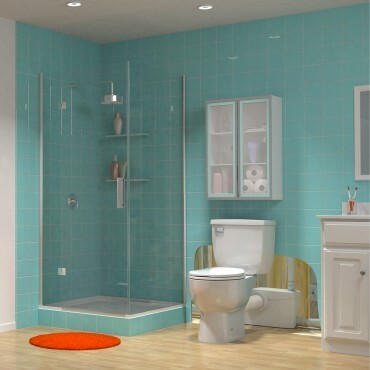 Its ease of installation is the reason why installers recommend this accessory for any Saniflo installation. When using the extension pipe, the toilet bowl should be raised 3/8 inch for additional gravity flow toward the macerator box.